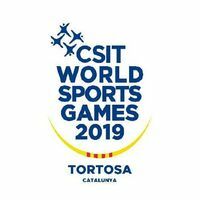 When the 6th World Sport Games organised by the International Workers and Amateurs in Sports Confederation (CSIT) take place in Tortosa, Spain, from 2 to 7 July next year, handball will be included in the event’s programme for the first time. Eligible are athletes aged 16 years and older. There will be a competition for male and female teams. The International Handball Federation’s Rules of the Game apply. The playing format will depend on the eventual number of entries. Furthermore, a para-sport featuring handball for athletes with Down’s syndrome will be organised as well. The WSG are a major multi-sports event with more than 5,000 participants held every two years, full of sports, sport for all, cultural exchange, fun and new opportunities. These Games are not multisport games for top athletes, but for all amateurs from different countries and cultures all over the world. Have a look at the 2017 edition which took place in Riga. The WSG's objectives are the gathering of sports friends, as a worldwide family to advance making friends as well as the exchange of information, know-how and experiences within the multi-sport community of CSIT and its partners. More info on the World Sport Games 2019, the possibilities to participate and the CSIT can be found at www.csit.tv. The World Sport Games 2019 official website will be online soon at http://2019.csit-wsg.com/.